Wuaki.tv, a movie and TV streaming service, has partnered up with LG Electronics to bring the Wuaki.tv app to the brand's 2012 and 2013 ranges. Wuaki.tv uniquely allows users to select between a monthly subscription to a hand-picked catalogue of content, the Wuaki.tv Selection, or renting and purchasing the latest blockbuster releases and hit TV shows, all from a single service. LG is the latest addition to Wuaki.tv's expansion into the Smart TV market following previous partnerships with Samsung and Panasonic - making Wuaki.tv available on most of the Smart TVs on sale in the UK today. Over 70% movies and TV series streamed from Wuaki.tv in Spain, the company's home market, comes through Smart TVs, with UK viewers set to following this trend. 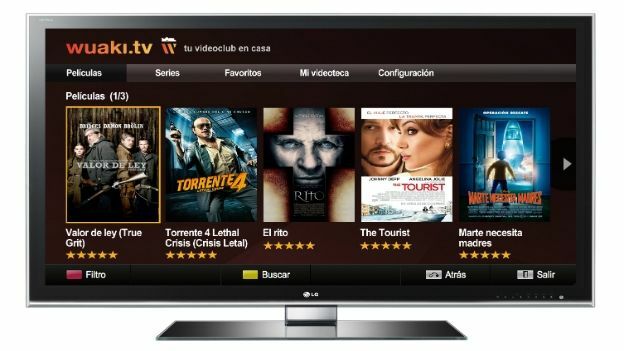 “Smart TVs have become increasingly commonplace in the average living room, in both Spain and the UK, and this is reflected in how consumers are using the Wuaki.tv service, hence we are very happy to agree this partnership with a top tv manufacturer such as LG,” comments Jacinto Roca, Founder and CEO of Wuaki.tv. The streaming service, owned by Japanese e-commerce giant Rakuten , is currently live in the UK and Spain with more European launches slated for France, Germany and Italy next year.